Have you ever started a conversation about life and philosophy and it becomes apparent the other person is not listening? They seem to "talk through" or "talk around" your ideas, rather than thoughtfully considering them? I'm sure you have. The good news is, there are fantastic ways to steer a conversation back to the original topic. We have described techniques such as staying on topic, setting the premise, asking questions, and others that are available for review at ITCZ 101. We use these techniques for clarity and to keep ourselves thinking through a complex conversion. Equally important, we are helping others to engage their thinking and remain thoughtful as well. Another technique to add to our arsenal is to take away their argument. So, what does that mean? The idea is to grant the other person a point that is true, yet it is irrelevant to the point you are making. In philosophical discussions we can quickly find ourselves down rabbit trails that may shed some light on what we want to express. Unfortunately, many times we get so far down those rabbit trails we are clearly off point. Let's head that off before we get there. 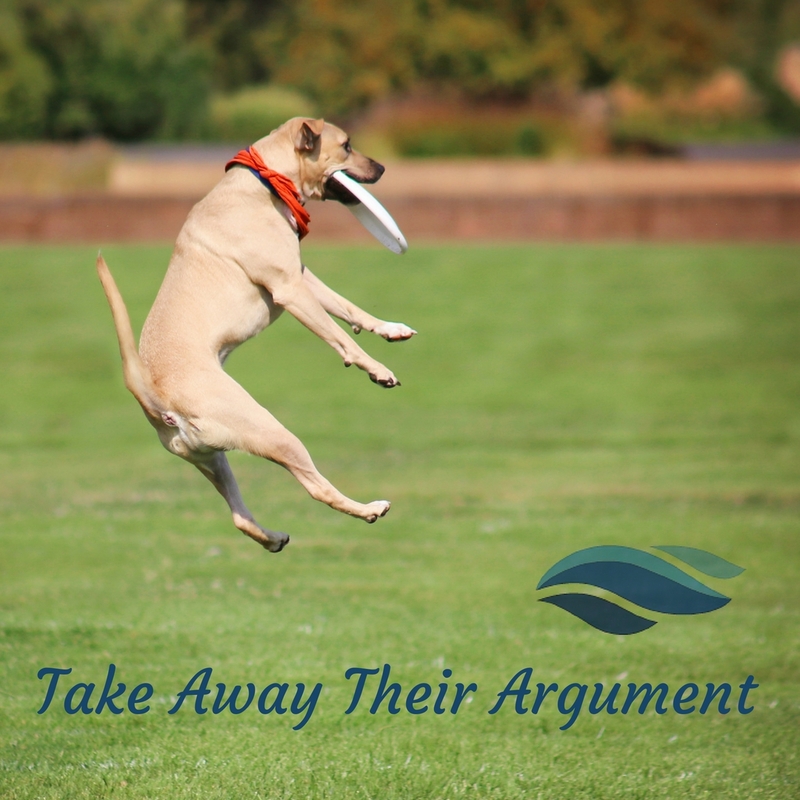 The purpose of taking away someone's argument is to take the focus off of what is irrelevant, so that the conversation can move forward with that which IS relevant. It is to reduce confusion. It is also extremely helpful for staying on topic and helping everyone involved remain thinking, rather than reacting. It's difficult to predict when you will be able to use this technique. Just being aware of the technique could prove to be helpful. You will certainly find it valuable when delivering the Gospel. Let's rethink repentance. Clarifying terms is a great tool for improving communication. It allows us to not only look closely at a word or phrase but also let's us come at it from many angles. Let's define and simplify the word, repent/repentance. Repentance can be mistaken for sorrow or penance but that's not what it is. Repentance is not sorrow. Will sorrow lead you to repent? Sure it does. Yet it is a separate process. 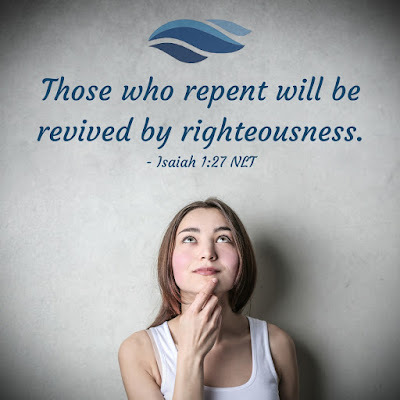 Repenting is commonly understood, as to turn away from sin. 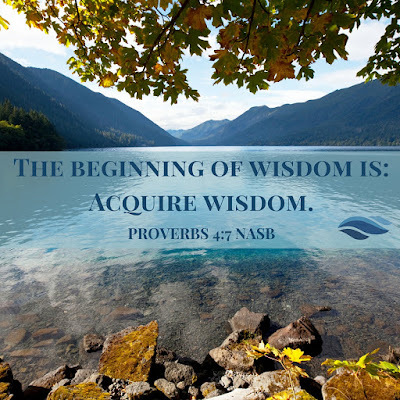 When we dig a little deeper we find that repentance is specifically to change your mind. It's that easy. When we fall into sin our Father tells us to change our mind about the sin we commited. Sin produces death and due to our new nature, we have a way to recover from it. We have the superpower to change our mind about following our old nature and set our thought process to think like the new person we are. We choose to think like Jesus thinks. Our thinking process is where God is directly working in us. 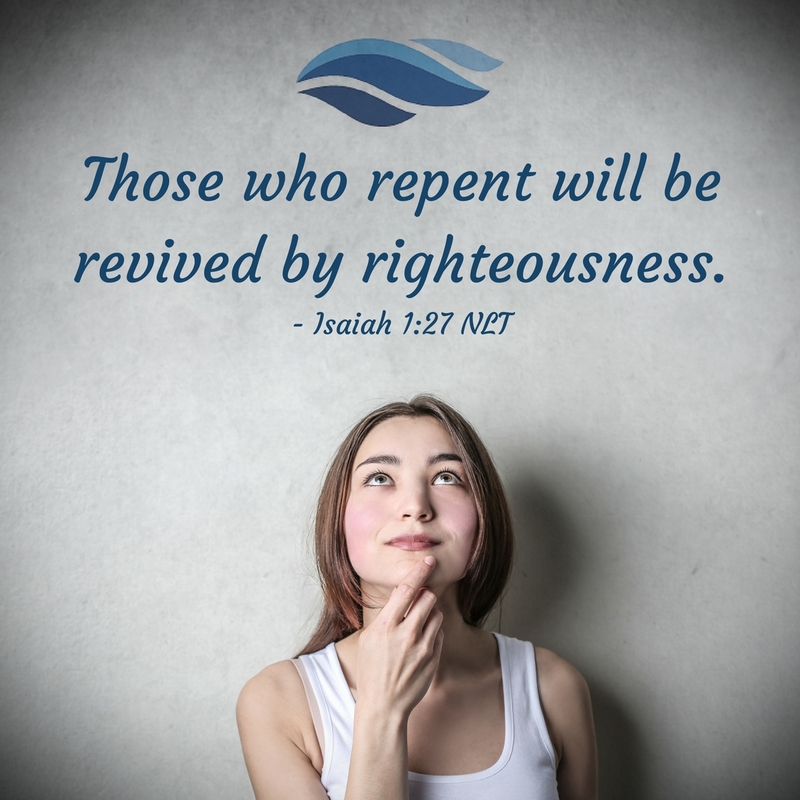 As a Christian repentance is the tool that helps us out of sin. The next step is to turn to God and have faith in Him and His ways.